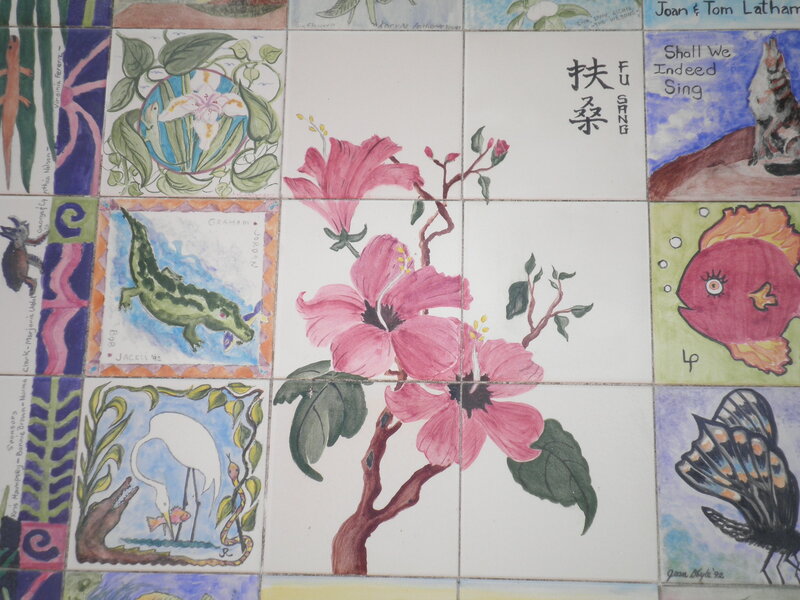 Friday started as an artsy day. 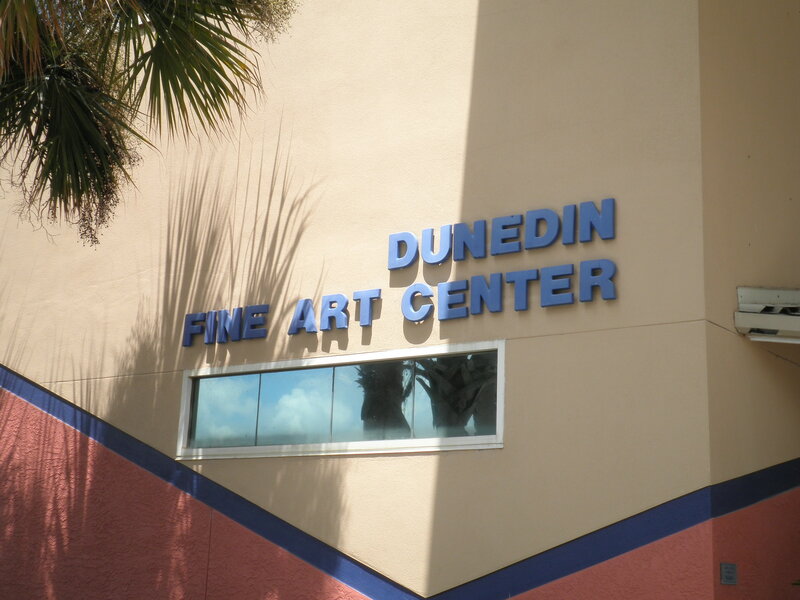 We had heard that there was a quilt show at the Dunedin Fine Art Center. We thought it sounded interesting so we headed out. We weren’t sure what to expect, but we were all impressed with what we found. 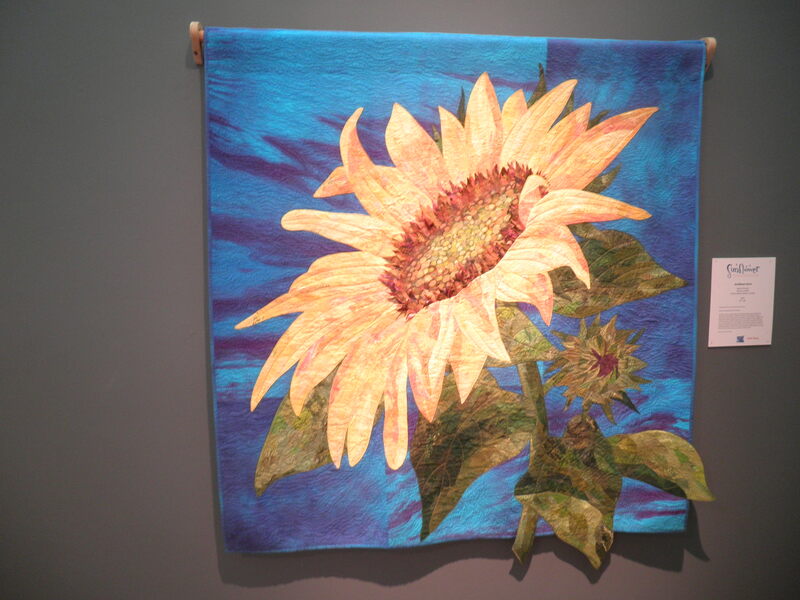 The exhibit was Sunflower-New Quilts from an Old Favorite from the National Quilt Museum. The quilts were amazing!! 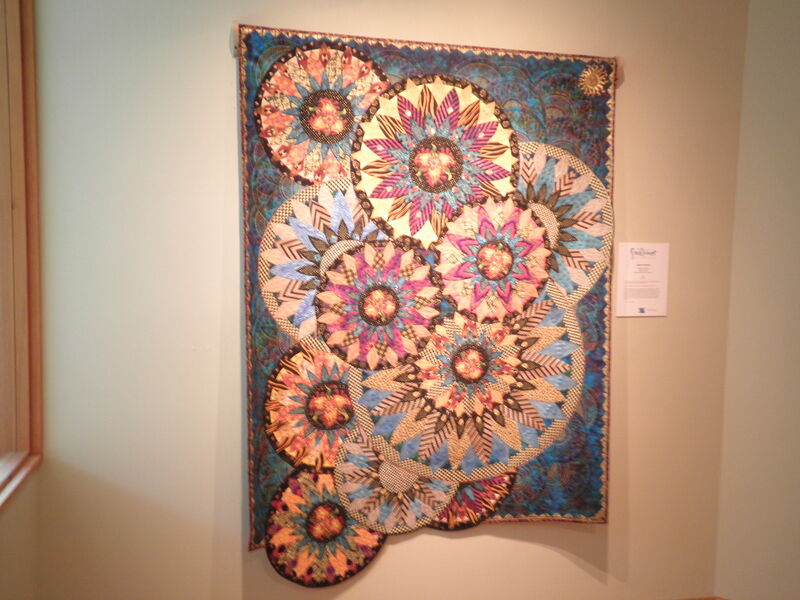 The details on these quilts were amazing and the photos do not do them justice. It was a really interesting exhibit. The Art Center is a great place. 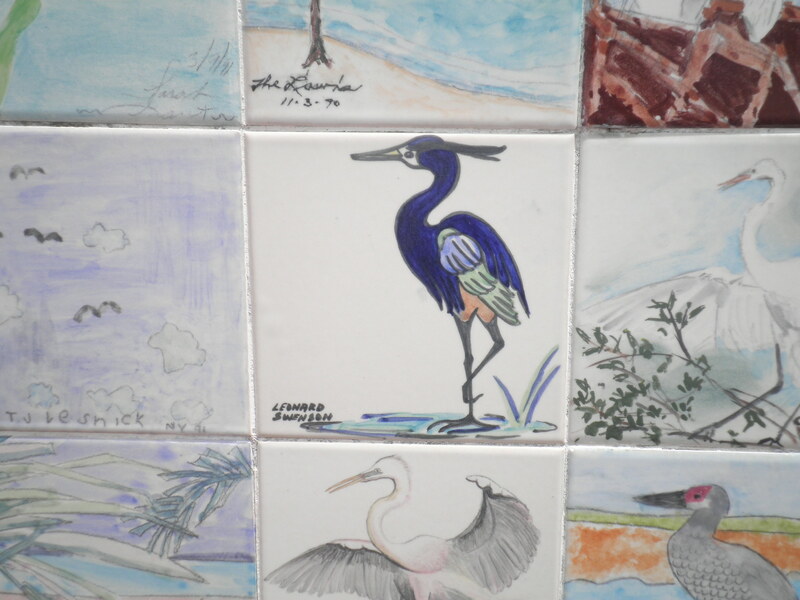 Check out their website and you’ll see some of the programs that they offer. I’ve never seen anything like it. It’s a great place! We couldn’t decide where to go to dinner so we decided to go back to an old tried and true spot, Eddie’s Bar and Grill in Dunedin. Gail and I weren’t sure what we’d be able to eat there. As with so many bars, they don’t offer a great deal of vegetarian offerings. 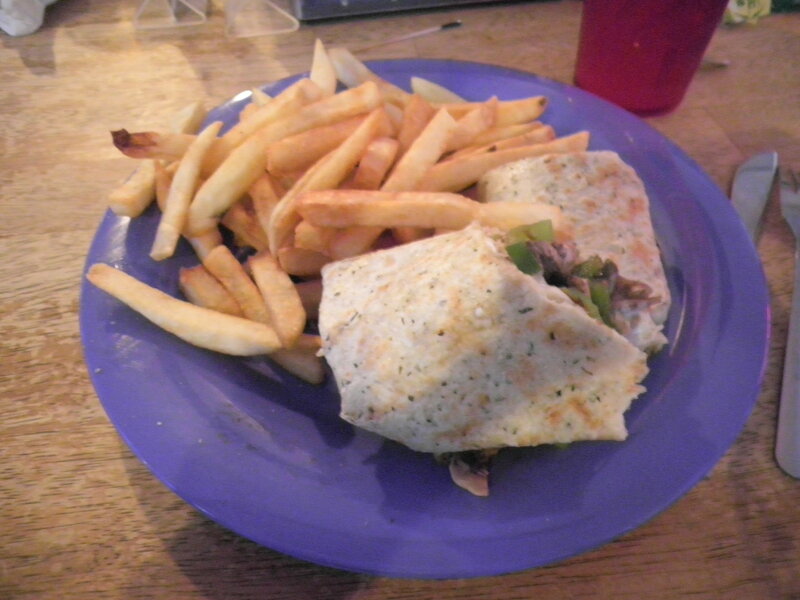 There was a steak wrap and lucky for us, we had a very helpful waitress. We asked if we’d be able to get it without the steak and if we could get a price break. 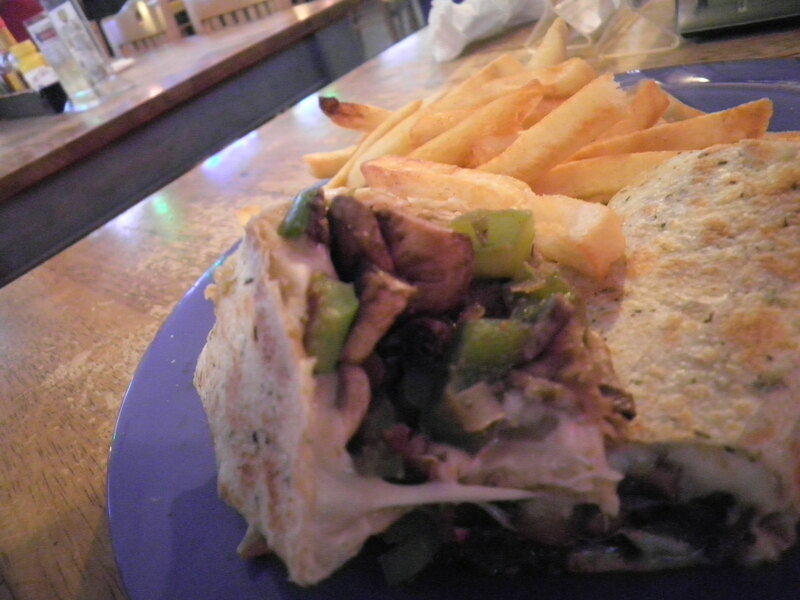 She was great, she asked and got us a delicious veggie wrap with mozzarella cheese, onion, green peppers and LOTS of mushrooms. The wrap had herbs in it and it was very tasty. Gail and I were really thrilled with ours and they reduced the price for us. Alice and Ray had BLTs but they were not as happy with their choice. The french fries were good though! I was a little worried when we went to Weight Watchers Saturday morning. I’ve tried to make good choices since I’ve been here and I’ve tracked Everything. Nonetheless, I was concerned. When I got to the meeting…I gained a half pound! You might not expect me to be excited about a gain…but under the circumstances, I could have gained SO much more. I was satisfied with the result. I’m going to continue trying to stay on track while I’m here. I think it helps all three of us if we’re all being aware of what we eat. After WW we needed to find breakfast. We decided on The Mark Family Restaurant in Dunedin. 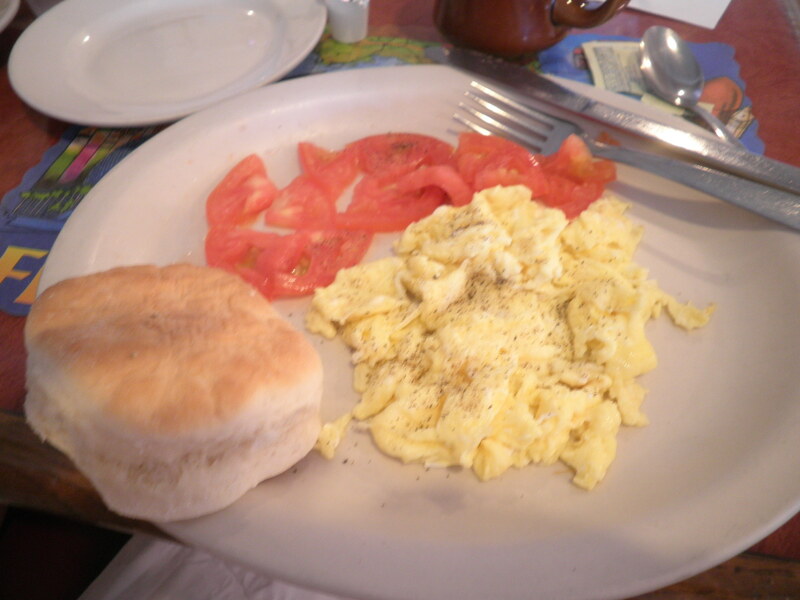 My choice was 2 eggs scrambled, sliced tomatoes and my splurge…a biscuit. The restaurants in NJ rarely offer biscuits. I needed to try it here. Although our waitress told me they were not homemade, it was very good since I hadn’t had one in a while. The real splurge came later. We were doing a few more thrift stores (because they were there!) and decided to stop for a treat. 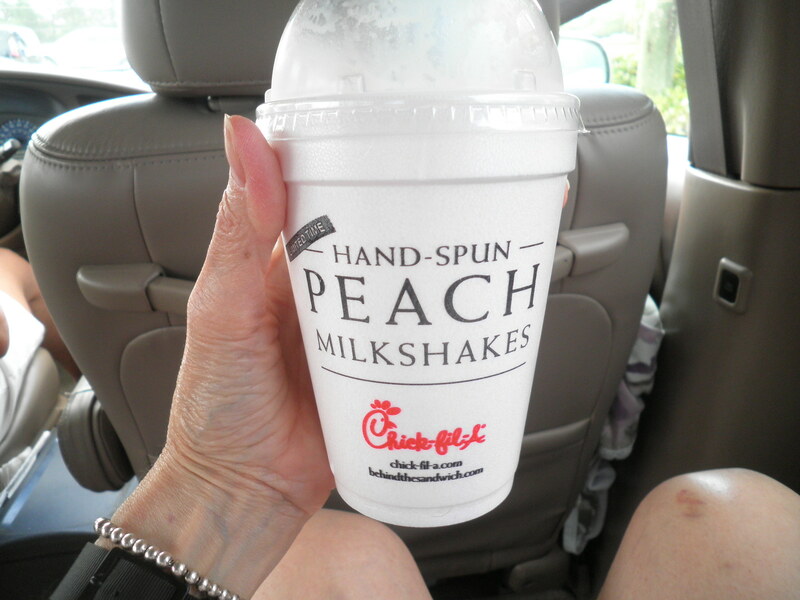 Chick-fil-A has a Peach milkshake, yes, kids…I said a PEACH milkshake. There’s mine. That is a small, yes a Small I tell you! I tried to figure on the Chick-fil-A website how to calculate the Points. The website would Not cooperate. I’m going to keep trying, but whatever the Points value…it was WORTH IT!!! It was just delicious. I’m going to keep trying to figure out the value, but if you’re near a Chick-fil-A try it while you can. It’s only there for a limited time. I don’t have stock in Chick-fil-A but if you need a treat…this is the treat to spend your Points or calories on! When I’m able to figure out the Points, I’ll let you all know. We’re going to watch the Phillies game and then we heading to The Island Outpost for dinner. The group performing there tonight is supposed to be really good. 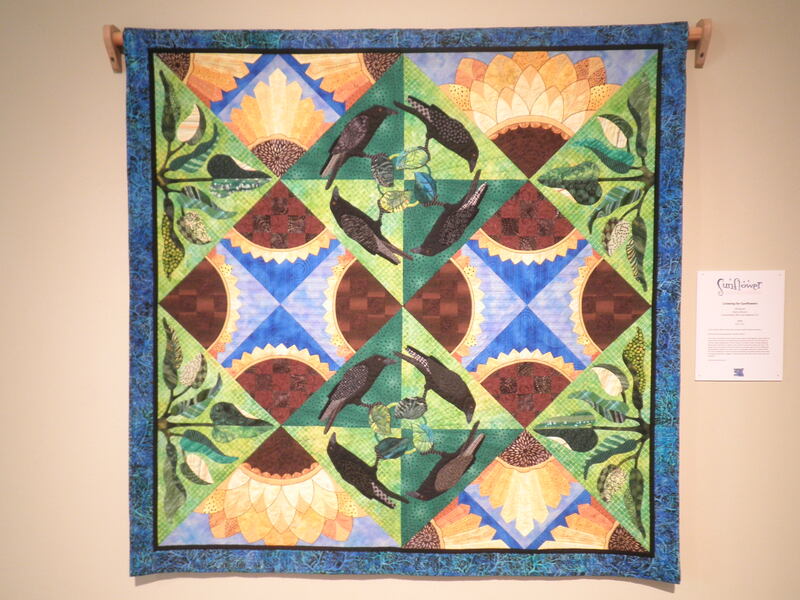 I’m in awe of quilts. They’re so beautiful. I love what they represent and the way that they’re being “reclaimed” as a feminist thing. 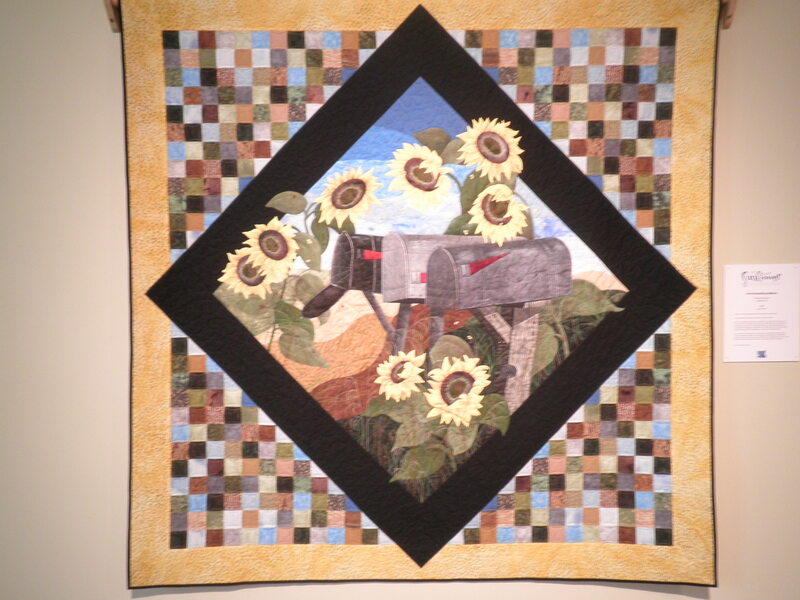 Love, love, love quilts. And really can’t afford to buy one. Stephanie! Glad you liked the quilts! 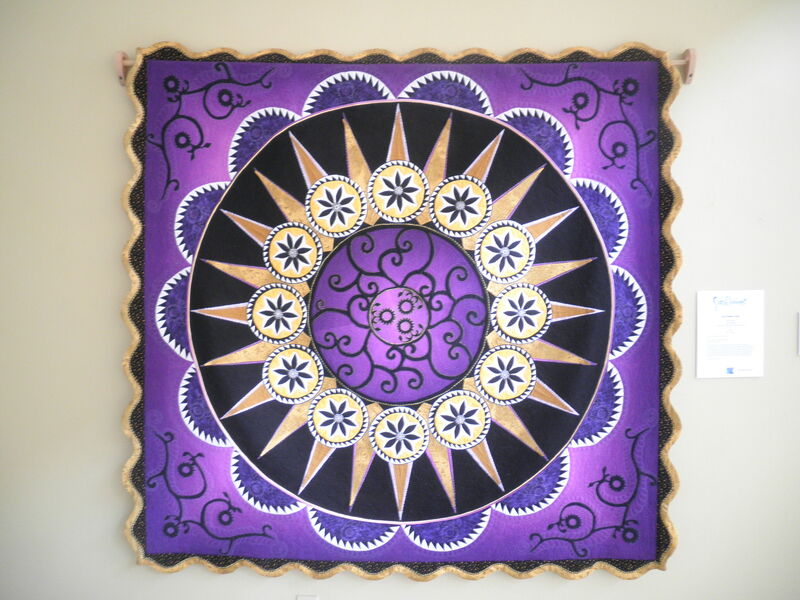 But wait a minute…remember you’re a PWMS…you can make your own quilt! I’ll bet in such a rural area, you can find someone who quilts. Check at the library maybe. Or through a church. I bet you’ll find someone who can give you some direction. I have faith in you…You can do it!